Here is the Technical Specs of the product i purchased. So.. I thought at first i might have a hardware issue but soon realized after playing around with OBS that this is far from a hardware issue it seems that Game show does not communicate with my capture card properly for some reason.. I at first maybe though that my firmware on my capture card might be incorrect so i double checked with the manufacture and i have the latest firmware that i could find from their website.. 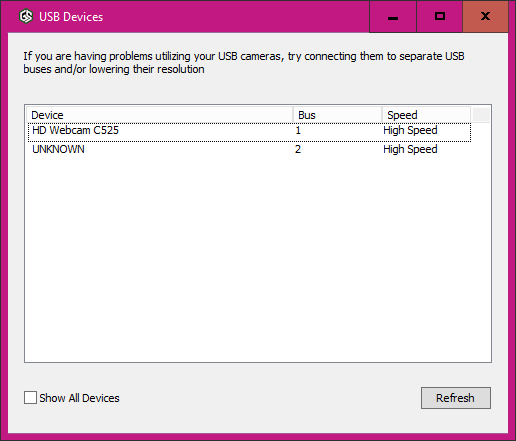 I am also having this issue with my web cam as well.. Not sure exactly what is up because the streaming pc only has 3 things plugged into its usb ports.. 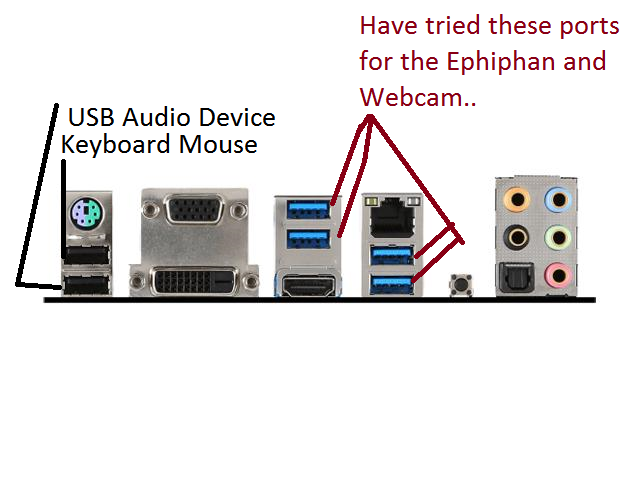 It has the Epiphan, Webcam, Keyboard-mouse combo That's it nothing else is plugged into the usb ports of this machine.. Attached is some screen shots.. Here is my computer system setup. 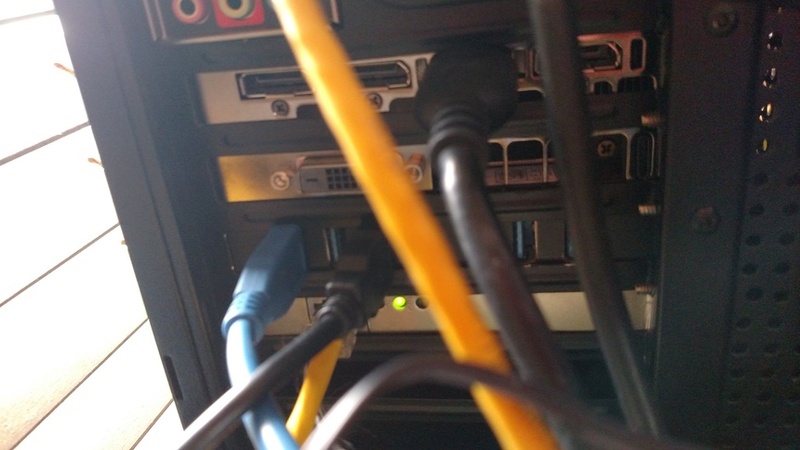 Which computer is the AV.io connected to? What does your framerate look like in other apps? Believe it or not I can't get Game Show to actually see the AV.io At the moment OBS sees it so i am using OBS as a backup.. I also had to do a reinstall on both of my computers changed motherboards and will need a serial key reset.. I did send that email already into the support team however no one has contacted me back yet concerning this reset.. 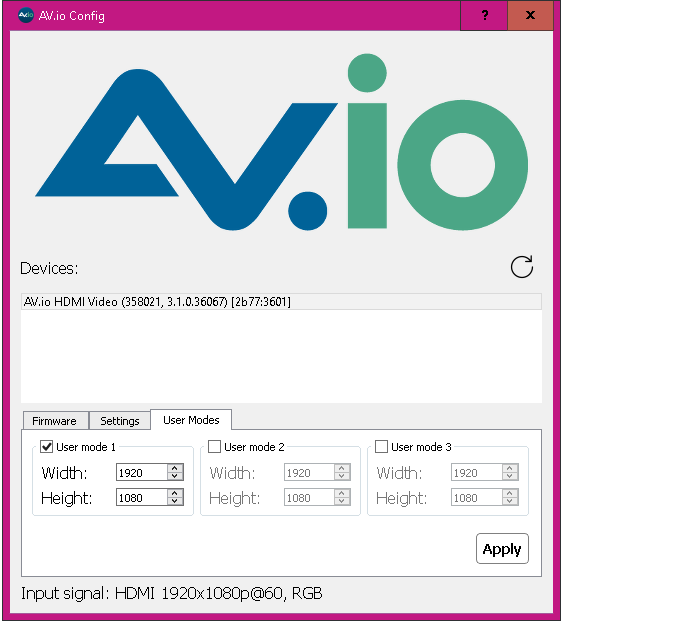 The AV.io is connected to the Streaming PC and I just connect a HDMI cable from the Gaming PC to the Streaming pc and make sure that my default monitor is sharing to that screen in the Windows settings.. Works Like a champ its actually sending 144hz at 400 fps at times in csgo using OBS.. However Game show for some reason does not recognize any of my usb devices which puzzle me.. This now includes my webcam..
Ok I have not heard a response in awhile so i decided to share video footage of the desktop showing that OBS works with my capture card and game show for some reason is incapable of finding my capture card..
Hope this helps.. I really would like to use game show again.. I just realized that i didn't post the right system specs.. Mostly everything is close except for some minor information on the streaming pc.. I am so surprised that no one has offered to help with this issue including the staff.. I have not been able to use game show to its potential with this capture card.. However OBS has been working well with the capture card and my webcam.. Seems like a software issue with Game Show.. This might need to be posted in the bugs.. Thank you for your post. A technician had received your case, and replied a few days ago. Please follow their instructions and we will work together to address your issue in a timely manner. I have responded now 6 times and have reset the game show several times including today now twice per instructions of each email i get.. Also there is only 3 usb deviced plugged in one for the mouse and keyboard one for the capture card and one webcam.. I just don't know what more i can do with a streaming pc with the below specs not working with Game Show but magically works well with OBS.. How?? How is this possible that OBS works but Game Show doesn't?? Tell me this isn't enough hardware to run a capture card and webcam with a mouse and keyboard.. Does game show execute a log some where.. Would love to post the logs in hopes to solve this issue..
Can you post a picture of you device manager with USB controllers expanded as well as S,V,G controllers? Can you also confirm which of the various add on USB controllers you have the devices plugged into? Have you tried connecting the capture card direct to the motherboard USB3 and see if it works? We have epiphan capture cards in office and have not seen this issue before. Ok here is what i have..
Oddly enough i turned off the delay for the webcam video and we are now back to getting both the webcam and the capture card.. However they are out of sync from the audio from the gaming pc..
Well after trying every usb port on the system here is a drawn diagram of what we have working at the moment.. Here is the motherboard we have purchase less than 4 months ago.. Here is the pci card we purchased less than 8 months ago.. Here is photos of the back of the pc.. The blue cable is the Epiphan Capture Card.. 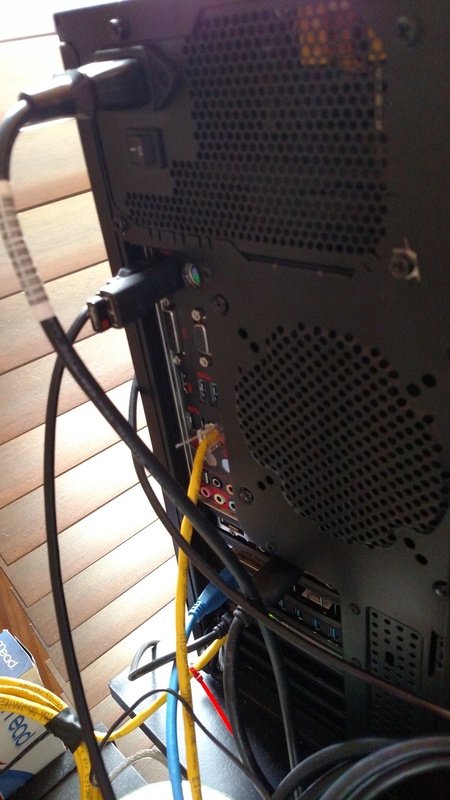 The black card plugged into the pci card is webcam.. 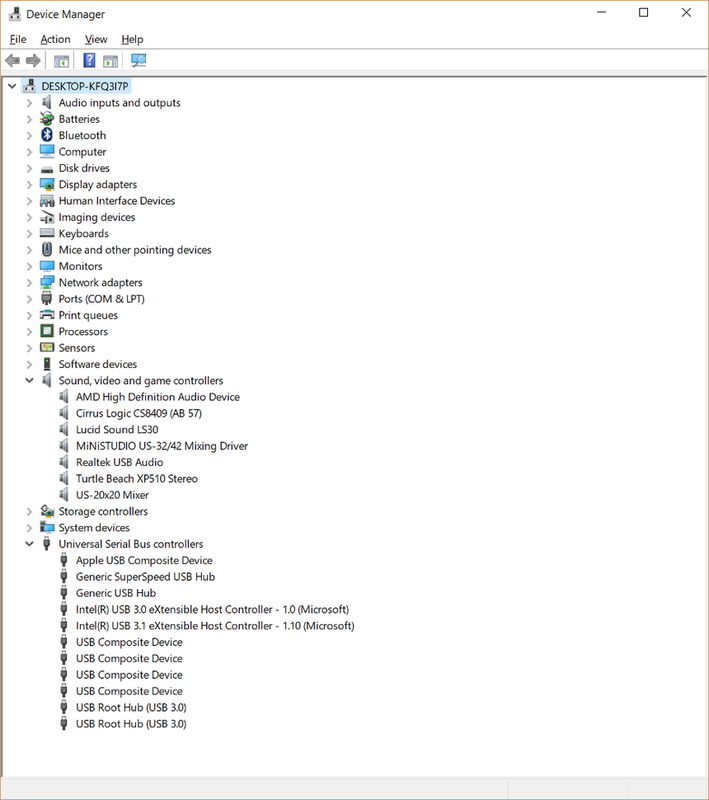 The black logitech mouse and keyboard is at the top along with a usb audio device for listening on my headphones.. I think i have gotten things to work however it doesn't seem reliable.. Game show seems to crash occasionally and the live view does not seem to refresh correctly meaning its delayed alot from the audio and does not seem to be like OBS on the same sources..
A key thing to remember is to keep video devices on separate USB buses. With motherboards, that generally means do not plug a cap card and a webcam to the same stack of ports. With that card, I do not know how its buss's are layed out, so it is hard to tell. That is what our USB buss window is for, but in the image you shared earlier, it appeared as if the device were unrecognized. 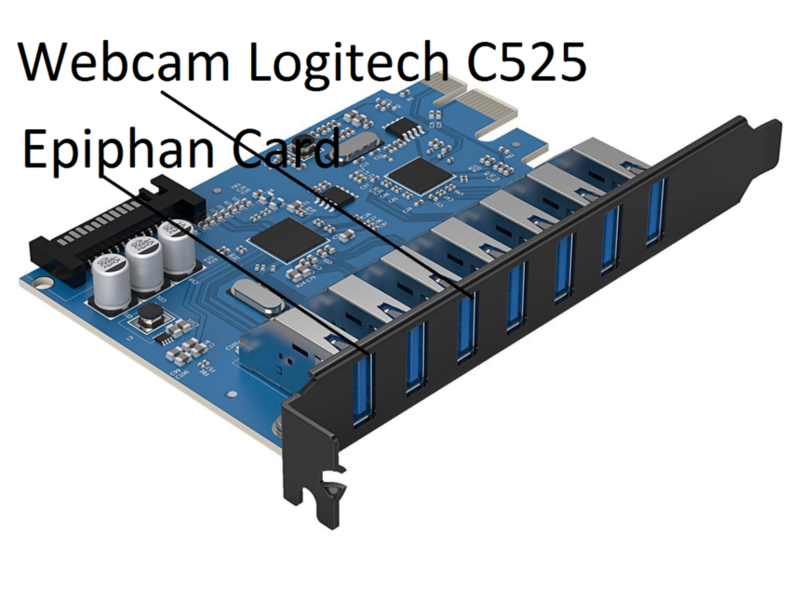 I would try plugging the cap card into the motherboard USB3 ports, and the webcam and other devices in the expansion card for starters, just to ensure they are different busses. As for why it works in OBS, I do not know. Perhaps they are grabbing the video from the device in a lower bandwidth manor(lower quality) and we are grabbing a higher bandwidth like MJPEG. Hard to say really, but clearly it is causing an issue for some reason. So you are saying that setting a video delay value caused it to drop the ability to communicate with the cap card and webcam? Can you also submit those crash reports with a link to this thread in the description? 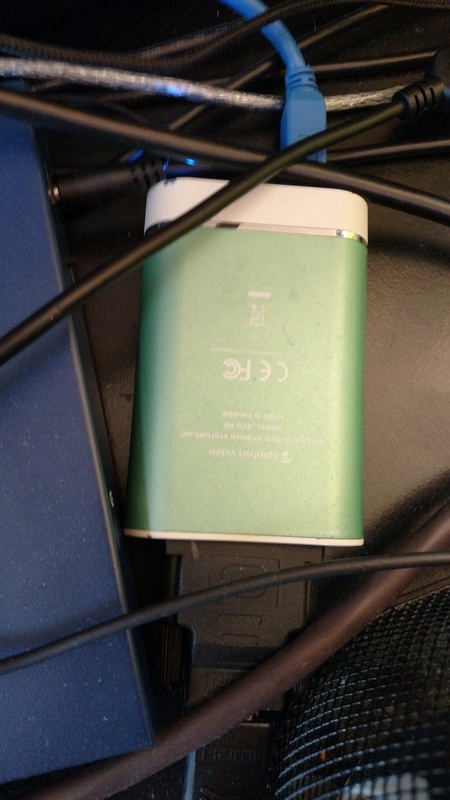 We have that same cap device and we use it frequently for live webinars and shows. I will see if I can find it and see if I see anything out of the ordinary. Bryce Stejskal Can i get a clear answer as to where these crash reports go?? Also yes it seems like Game Show runs out of memory randomly then crashes.. The Task Manager however shows another story.. 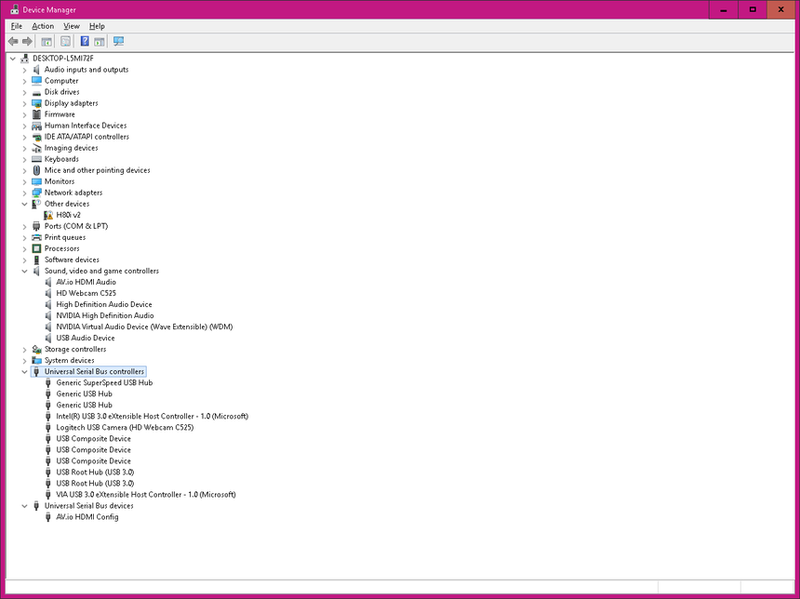 According to the Task Manager it never uses any of the resources it could use.. Example at idle windows only uses about 2.1gb of memory and when game show starts up it uses about 3.4 gb of memory and never anymore than that.. The system has 8 gb of memory available to it... Still doesn't make sense..
We removed the Nvidia GTX 1060 out of the system and switched to integrated graphics and quick sync and had the same issues... When putting a video delay into Game Show.. The Keyboard and mouse and the capture card are the only things plugged into the mother board USB 3.0 slots..
After doing some extensive testing we feel that gameshow has a memory leak in it.. This causes the computer to completely crash after setting a delay.. I have now spent 3 weeks working on this problem and I feel at this time this seems to be a software issue and not a hardware or pc setup issue.. I have been working with computers for about 18 years and have been managing my own servers for the last 5 years I think i can figure out what ports are USB 3.0 as seen in the above slide show demonstration and photos..
We have now dug out the streaming pc out side its holding container and put this machine out on the work bench testing other parts to see if it is possibly a hardware issue.. At this time hardware is not where the problem seems to be.. Please fix your memory leak in the software around where you place video delay.. I started a new thread in the Developers forum in hopes that we can get the memory leak figured out in the software. At any point in time, you can run Gameshow Support Assistant.exe. It can be found by pressing the windows key and typing Support, or in the help menu of Gameshow. In here, you can reset your preferences(fixes many small config issues) or you can Press SAVE. I will look into the memory leak. Ok I have Gathered The files up for the Streaming pc in this post and will be attached with this reply.. I couldn't upload the files here so I took the liberty in uploading them to my webserver.. If those links do not work you should be able to download it from the file browser by going here.. The above will be removed in 7 Days Please get the files you need now before the removal..
Ok so now I have create video footage of the memory leak issue and posted it up on youtube in hopes that we can figure all this out together..
Purple Tiger Have you updated to GameShow 4.5.1? Gameshow has been updated since this thread was started which was version 3.8. Given there's been no posts on this thread for a year it's quite possible subsequent updates fixed this issue for most users. I'd need more specific details to troubleshoot your issue.